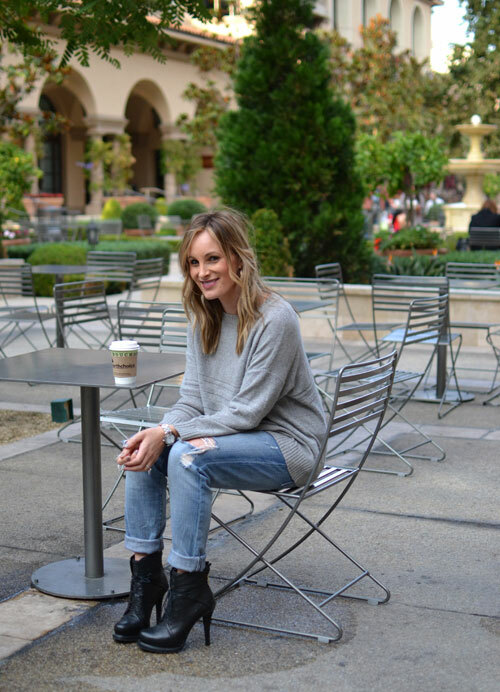 A cozy sweater, boyfriend jeans and boots. I couldn't think of a better outfit to wear on a brisk December day. I wore this out for a coffee run at one of my favorite spots in Beverly Hills this past weekend. Pure comfort. I hope everyone had a great weekend! You look so urban chic! I love the jeans with those booties!!!! Perfection. Simple, comfortable, and cool...love it.